Thanks for your interest in our upcoming, inaugural Phoenix Rising FC Charities Golf Tournament. All proceeds will go to our Soccer Foundation which provides assistance for children to play soccer within the Phoenix Rising FC Youth Soccer organization. 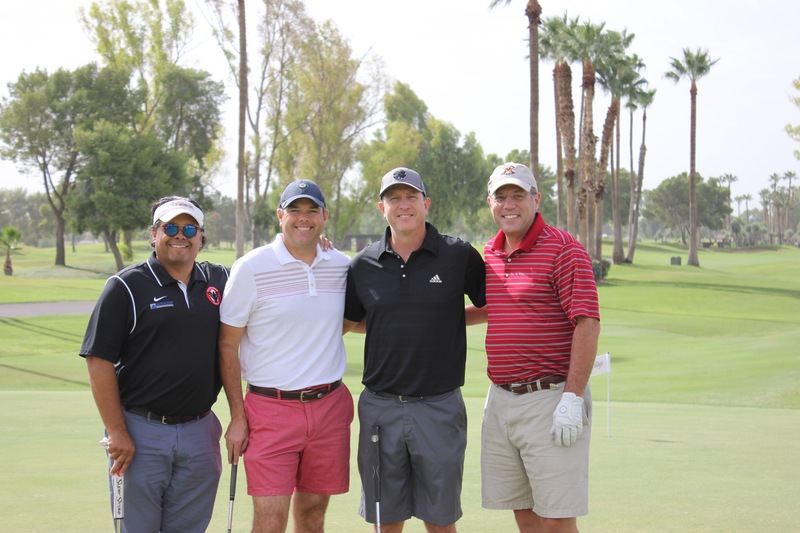 Players can register online at Phoenix Rising FC Charities Golf Tournament - simply select how many players, submit your information and payment and we will do the rest. The format for the tournament is a better ball scramble with a 1pm shotgun start. Prizes will be awarded to the 1st, 2nd and 3rd place teams as well as additional prizes for longest drive and closest to the pin contests. Prizegiving Dinner is provided for all teams at 6pm. Would you like to sponsor a coach and have them play with you? Simply approach your coach for their availability and include them in your group information. Any questions should be directed to Neil Graham (neil@scottsdalesoccer.com).